Video interviews, panel discussions, articles and Q&As featuring Mike Kugler. If you’re an entrepreneur who plans to disrupt an industry- or you want to learn to become one- spend some time listening to the out-of-the-box thinking of resort industry veteran Mike Kugler. 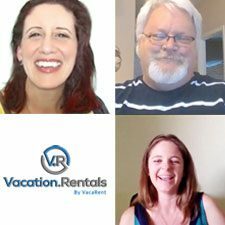 Mike’s company, Vacarent, LLC recently acquired the Vacation.Rentals premium gTLD, purposely paying the most ever for a public gTLD acquisition. Entrepreneurs like this who surprise and confuse us are often visionary thinkers. We don’t need to do the exact same thing, but we can definitely benefit from learning about Mike’s perspective and seeing where to apply that in both our domain name search and entrepreneurial endeavors.